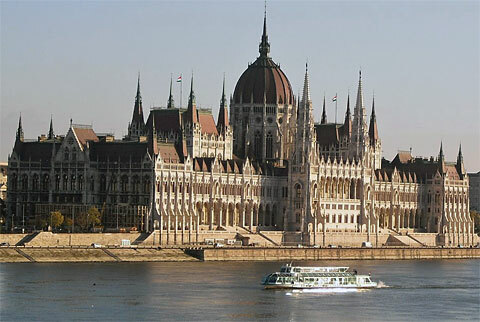 2/4/2010 – Once a month a world-renowned tournament is conducted in Budapest. It provides budding players with an opportunity to test their skills and achieve title norms. Carlsen, Sutovsky, Milov, Radjabov, Sofia Polgar, Nakamura have passed through the grinding mill of the tournament that has been running for 17 years now, organised by a former chemist in the Hungarian army. Big pictorial report. In many fields, the protagonists carry the fame at the expense and unjust neglect of side workers. The cinema industry is one typical example: actors enjoy utmost accolades while writers or producers are hardly ever mentioned. And yet without their efforts there would be no work for the actors. Similarly, the chess stars can only shine and pave their way to a successful career thanks to dedicated chess organisers that provide opportunities for them to show their skills. The First Saturday tournaments that run in Budapest, Hungary are by now world-renowned. Their main attraction is that they run monthly and guarantee a necessary quota of international rated and titled players, which is a prerequisite for obtaining FIDE ratings, norms and titles. Chess players from all corners of the globe flock to Budapest in order to try their luck at advancing their chess careers. Many of the grandees of today have passed through the grinding mill of the First Saturday including Magnus Carlsen, Emil Sutovsky, Vadim Milov, Teimour Radjabov, Sofia Polgar, Hikaru Nakamura… to name but a few. It would be amusing to know that both Carlsen and Nakamura made unsuccessful attempts at achieving a norm! Peter Leko got his second GM norm, in the 1993 April First Saturday, when he was 14 years old. But little do we know about the man behind the famed First Saturday tournaments. 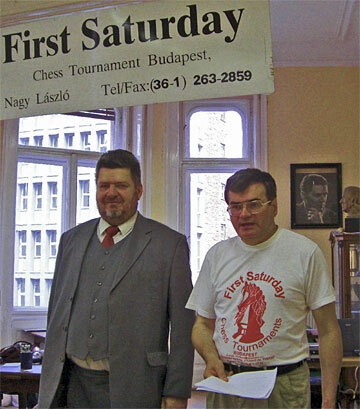 The one and only ‘Mr First Saturday’, as he has been nicknamed, Laszlo Nagy has been running the First Saturday tournaments for 17 years. 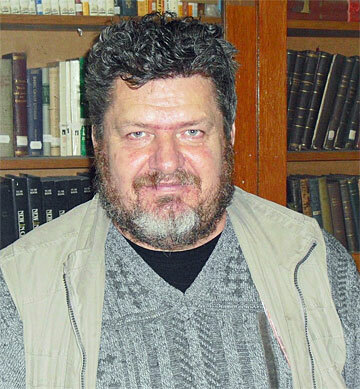 He is an International Organiser (IO) and a member of the FIDE Organizers' Committee. Organising chess tournaments would not be the most orthodox choice for a regular business. Yet Laszlo Nagy managed to create a successful enterprise by choosing this mind sport to provide for his ‘bread and butter’. When the communist system collapsed, Nagy felt that he had no career prospects within the army and, as many of his colleagues were losing their jobs, he applied for a voluntary redundancy. I was a chess candidate master; my best rating was 2220, but I did not feel I could go much higher and I had decided to become a chess manager. In September 1991, I quit my employment with the Army and in February 1992, I started the ‘First Saturday’ tournaments. With the little redundancy payment he bought the basic tools for his new business – a fax, answering machine and a computer – and set up office in his one-bedroom flat from where he still operates. It was a brave step; starting a business from scratch is always a risky affair, but particularly in those volatile times when Hungary was just barely coming out from decades under communist rule. The beginnings were shaky. What I remember best about the first tournament is coming back home and telling my wife that we were more than 1000 dollar minus. She panicked and asked how we were supposed to survive. I told her to be patient… It is like when you want to fly – first you need to start on the ground. The following year we managed somehow to make it even. It went on and off like this for a bit of time, but I really loved doing these tournaments and with time it paid off. We soon made some profit, and that promised there would be little salary and a survival for the family. Laszlo on occasions openly jokes with chess players: ‘It is thanks to you that I can feed my family’. Laszlo admits however that the original idea about the regular monthly tournaments was not entirely his. 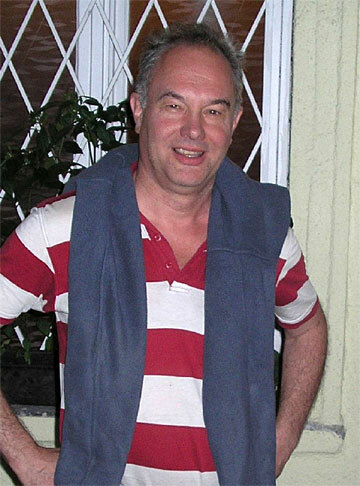 In 1989, while still a teacher and employee of the Hungarian Army, he was assigned by the Hungarian Government to lead a national team of young chess players to a junior tournament in Vilnius, Lithuania (then the Soviet Union). 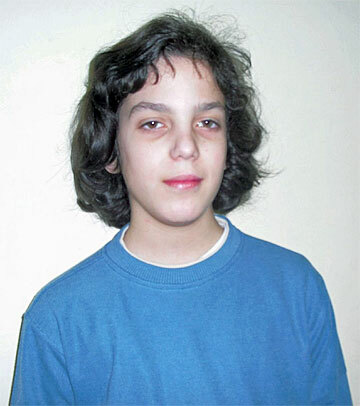 Among his charges were GM Zoltan Gyimesi, IM Nora Medvegy and IM Szolt Korpich, the current secretary of the Hungarian Chess Federation, who at the time were about 12 or 13-year-old youngsters. On this occasion, Laszlo met and struck a friendship with Fedor Skriptchenko, the General Secretary of the Moldovan Chess federation and father of IM Almira Scripchenko, a former European woman Champion. 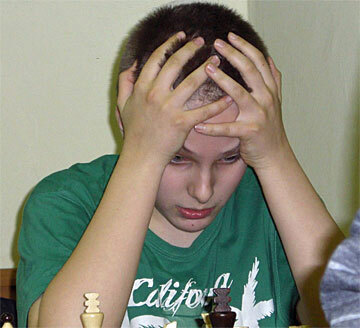 Fedor Skripchenko had been nurturing an idea of organising monthly chess tournaments that would start every 15th of the month in Chisinau, Moldova and suggested a partnership between the two of them. At that time, I was still employed as a military man and it was not feasible to carry out Mr Skripchenko’s proposal. But three years later, when I abandoned my military career and intended to organise chess tournaments, the idea came back to me and I thought I would do something similar in Budapest. Chisinau was not practical; it was still the Soviet era and it would not have been easy to convince international players to travel over there. Budapest was somehow more accessible and obviously, for me it was more natural to run tournaments in my native city. How did such a curious name ‘First Saturday’ come about? 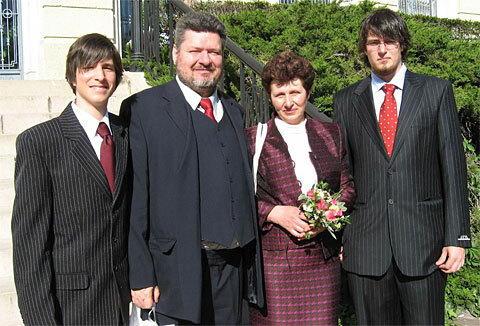 A family portrait: Laszlo and Ilona Nagy with their sons Tamas (left) and Laszlo Jr.
At first sight it appears that Laszlo’s business is a ‘one man band’. 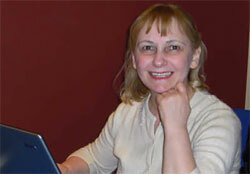 However, his wife Ilona makes an invaluable contribution to the success of the First Saturday. 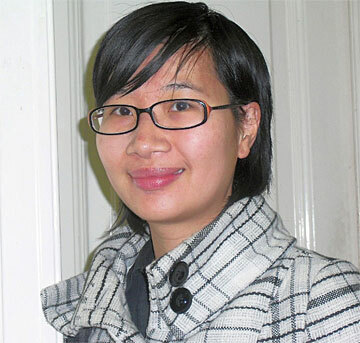 This unassuming woman, ever friendly and approachable during her rare visits to the tournament hall, controls the smooth and efficient running of the tournaments from behind the scenes. My wife runs the administrative and financial side of the business. She is there on the first day to collect the entry fees and give receipts to players. I make contracts with players and she is the executive power. Her help makes it possible for me to concentrate on communicating with players, which I believe is very important as players appreciate a frequent and direct communication. Both husband and wife are perfectly fluent in English, German and Russian, which is a great asset in this primarily international business. Their younger son, Tamas, a bright student with excellent command of English, is only 14, but he is already an important team worker in this family business – he is the web master of the tournament’s site, which gets about 10,000 hits monthly. Laszlo signs his correspondences with ‘Chessfriendly greetings’ followed by the FIDE’s motto "Gens una sumus " and his own motto… "Pacta sund servanda ", meaning ‘agreements must be kept’. People that enter in dealings with Mr First Saturday realize that he is very sensitive to the given verbal agreement that he believes should be fulfilled as a principle of good faith and not necessarily by written legal forms. He may haggle about fees, multiple participation discounts and so on, but you can be sure that he will honour to the dot his given promise and you had better do the same. He gets very incensed at dishonest and manipulative attempts. Laszlo fiercely holds on to his business deals, which might cause some negative gossip, but people who manage to see through his sometime quirky behaviour realise that this giant of a man has a tender heart of a child, easily confused when his good intentions are misunderstood. When the business side is truly and well out of the way, he is happy to make friends and is always ready to help. I love chess. If people love chess, I love them; and they love me. On this line, we base our initial communication. People know that they can approach me with any sort of inquiry and I help them with anything I can, even outside of the sphere of chess. I have witnessed chess organisers who come on the first day of the tournament to collect the entry fees and than disappear. But human beings need communication. When people cannot talk about their concerns, they become frustrated and sometimes aggressive. One day I saw him walking crestfallen in the corridors of the playing venue. 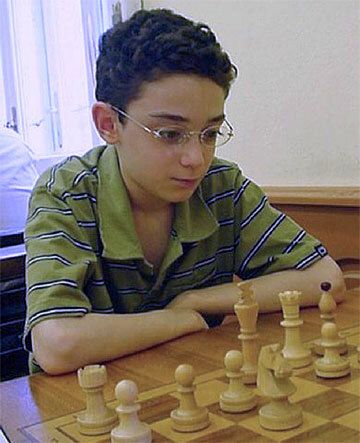 He revealed to me what troubled him: GM Fabiano Caruana who has achieved most of his norms and titles playing at the First Saturday has related to Laszlo that a journalist in the USA teased him that First Saturday is a ‘factory for norms’, implying norms are easily or dishonestly achieved. I seemed to have managed to console him by pointing out that this journalist has picked on a particularly wrong target: Caruana had just made his impressive debut at Wijk aan Zee – does that make this highly respected event also ‘a factory for norms’? Young Caruana has proved his talent time and again and paving his way through the First Saturday he reached many super tournaments up to the latest World Cup. Fabiano and his family lived in Budapest for a number of years. Their main reason for settling temporarily in the Hungarian capital was his coach GM Alex Chernin who is a Budapest resident. But he combined his training sessions with playing, almost monthly, at the First Saturday, where by the following year, in May 2005, he achieved his first IM norm with 7.5/10 and a 2470 performance. 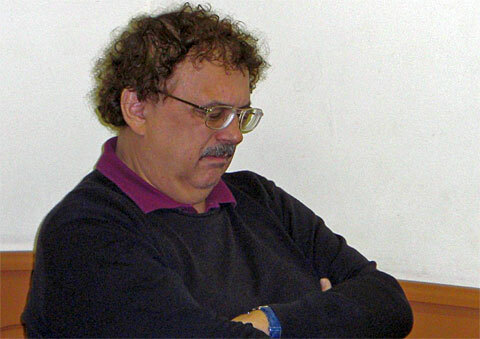 His final GM norm came in the July 2007 First Saturday tournament. 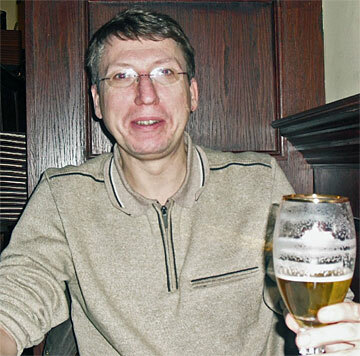 Some unsavoury comments are probably to be expected in the ever-suspecting chess environment but when it comes to the First Saturday tournaments, nothing can be further from the truth. When I asked Laszlo whether he was aware of any anomalies taking place, he strenuously and indignantly denied it: Look, I cannot possibly know what all chess players are up to among themselves. But if I notice anyone attempting anything unacceptable – he is straight out of my tournaments. The never-ending dilemma about early or pre-arranged draws is present at the ‘First Saturday’ as well, but, to my observation, games are generally hard fought battles. If anything, I have witnessed on many occasions heartbroken players who have missed on a norm or a title for just half a point, or others very distraught because they have encountered too great an opposition and lost precious rating points. A good arbiter is indispensable and Laszlo enjoys excellent cooperation with the International Arbiter IM Miklos Orso, who is highly regarded by the First Saturday participants. Laszlo and the arbiter Miklos Orso greeting the players and outlining the playing regulations at the beginning of a First Saturday tournament. The arbiter also makes sure to ward off occasional problems: ‘Please do not run away if you start losing games. It badly affects the pairings and demoralizes other players. Face the battles as real sportsmen’ – which is met by suppressed giggles of the already tensed competitors. Aspiring arbiters can also make use of the First Saturday tournaments. FIDE Arbiter Lyudmila Barishnikova from Azerbaijan offered a helping hand throughout the December 2009 tournament. The working and learning experience will earn her an International Arbiter norm. been assisting the chief arbiter and Laszlo Nagy. The ‘First Saturday’ tournaments are truly international. Some players travel many hours from far away countries; some have to persevere through a strenuous process of obtaining visa documents; all have to bare the costs of entry fee, travel, accommodation and living expenses in order to participate at a ‘First Saturday’ tournament. Some manage to earn the coveted norm or title, some leave empty handed. Such is chess! Many return repeatedly. It is like endeavouring in a ‘school’ to pass the exams and earn a certificate or a diploma, which should further the chosen (chess) career. A ‘graduation’ photo: IM Ido Porat from Israel with his mother, his sister Maya who is also a chess player and Laszlo Nagy, is proudly presenting one of his IM norm certificates. Ido and Maya (2169) are from the famous Porat chess family which has already produced two IMs, Ido (2441) and Shay (2464) and compose the larger part of the Porat Chess Club that participated at the latest European Club Cup. The youngest sibling, Hen (1778), is 12 years old. 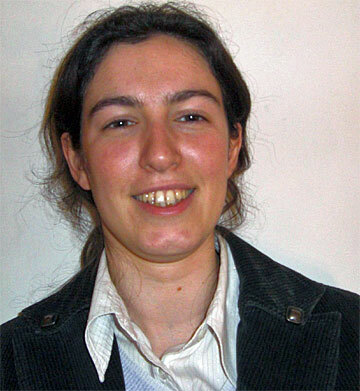 In the late nineties IM Yelena Dembo (GRE, 2457) moved with her family to Budapest, where she moulded her formative years at the First Saturday tournaments. During her spell in Hungary, she was also a member of the Hungarian women’s Olympic team in Bled, 2002. The chess and computer couple Iweta and Vasik Rajlich, the crucial team behind Rybka, lived in Budapest for more than four years. Their encounter at a First Saturday game on the opposite sides of the board blossomed into a romance that led to marriage. Playing regularly at the tournaments they both earned an IM title and some GM norms. Most importantly, it is while in Budapest that Rybka made its first splashes before hitting the heights of success. IM Vasik Rajlich (USA, 2303) and IM WGM Iweta Rajlich (POL, 2455) on the famous Gellert Hill with a Budapest panorama. After four glorious years in Budapest they returned to settle in Iweta’s native Poland. 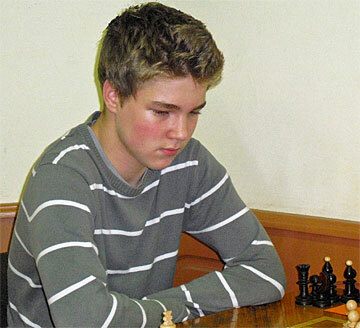 When USA IM William Paschal (2398) came to Hungary with intention to spend some time playing at the First Saturday little did he know that his two year chess adventure will keep him indefinitely in Budapest. 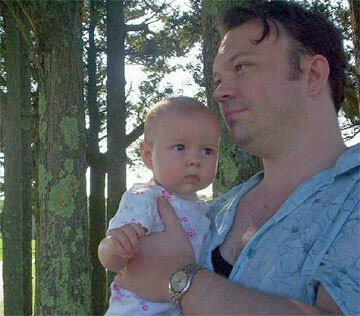 A lovely Hungarian wife and an adorable baby daughter, Panni, have altered his plans. Bill and Panni enjoying a stroll in one of the many rich forests in the Budapest’s outskirts. Panni might slow down Bill’s GM ambitions, but she deserves all his sacrifices! German IM Dimo Werner (2314 ) lived in Budapest for many years during which time he regularly played in either the IM or GM sections. He was a committee member and a helping hand to the First Saturday tournaments. 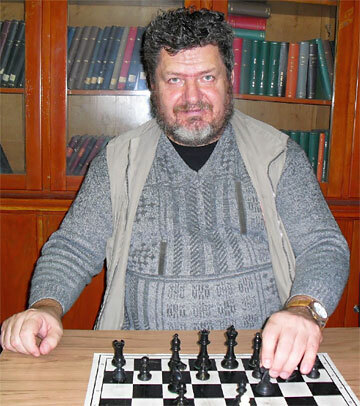 Throughout the years he became a highly esteemed ‘house trainer’; many chess players would combine their participation at the tournament with valuable training sessions with Dimo. 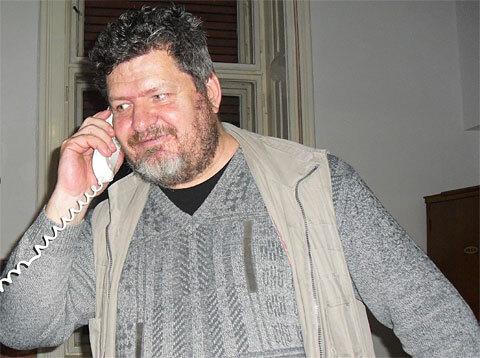 With only absences to Germany in order to play in the Bundesliga, and occasional international tournaments, Dimo had fully immersed in the Budapest life, where he was a truly dedicated and indefatigable chess worker and respected chess friend. Sadly, I am using the past tense because Dimo succumbed to a severe stroke during a tournament last year that left him with brain and partial body damage. He has since returned to be cared for in Germany and we wholeheartedly wish him a full recovery. Many players make Budapest their frequent destination and play at the First Saturday several times a year. Austrian IM Walter Wittmann (2294) has represented his country at many Olympiads during his chess heyday. Today, as his lifelong legal profession as a public prosecutor has come to an end, Walter is using his well earned free time to return frequently to Budapest and to measure up his strength against the young forces in the First Saturday’s GM section. A large contingent of Vietnamese players have been using the First Saturday tournaments to work towards improving their chess careers. Some of them travel on regular basis, some settle in Budapest for longer fixed periods that usually results in achieving norms and titles. GMs San Cao and GM Hoang Thanh Trang, former regular participants at the First Saturday, are now based indefinitely in Budapest and play under the Hungarian flag. 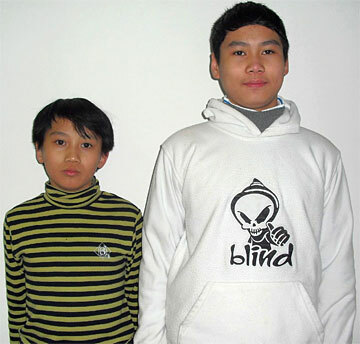 Brothers Tran Minh Thang (10) (left) and Tran Tuan Minh (13) are the latest Vietnamese arrivals and made their debut at the December 09 tournament. They are to stay for a year in Budapest, during which time they will be provided with coaching sessions and playing at the First Saturday. Tran Minh was the winner of the 2008 World Youth Championship in the under 8 section, and Tuan Minh is the champion of the South Asian zone (ASEAN) and many times Vietnamese champion in his age group. Their stay is sponsored by the Vietnamese Government. Once in Budapest they, as many other Vietnamese players, are being cared for by an ‘invisible’ benefactor – Hoang Thanh Trang’s mathematician father and his family. Some business savvy players have invested in a property in Budapest in order to bring themselves closer to the First Saturday tournaments. British player Mark Lyell, attracted by the Budapest property boom and the First Saturday tournaments, purchased a flat in the Hungarian capital. Mark is playing regularly and is on his way to securing an IM title, having already pocketed two norms. First Saturday tournaments represent a particularly important platform for young hopefuls that necessarily accompanied by their parents make it to Budapest in order to gain experience and progress in their coveted chess careers. Melissa Greeff (2079) is among the South African players who are recipients of a financial reward by their Chess Federation. This initiative of the SA Chess Federation aims at helping talented players to gain experience and potential career advancement by playing at tournaments abroad of their own choice. The First Saturday is high on their list and many players including IMs Watu Kobese and Kenny Solomon made it to Budapest on several occasions. Melissa travels around the world accompanied by her mother and occasionally her younger sister. 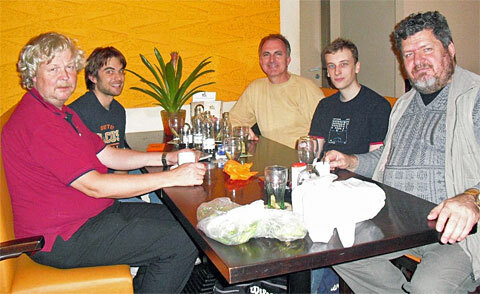 Their latest chess adventure was the World Youth champion in Argentina, Oct – Nov 2009, where Mellisa scored 5.5 points. 15-year-old Melissa’s greatest success so far has been the 2009 African Individual Chess Championships (women) where she won first place and a WGM title. 14-year-old Mstislav Yefimov (RUS) from Vladimir, a town near Moscow, came to Budapest accompanied by his parents, both architects. Following in the steps of his famous compatriot GM Mark Taimanov, Mstislav successfully combines a career as a young musician, specialising in piano and chess, where he shows an impressive upwards curve, reaching 2050 elo rating. 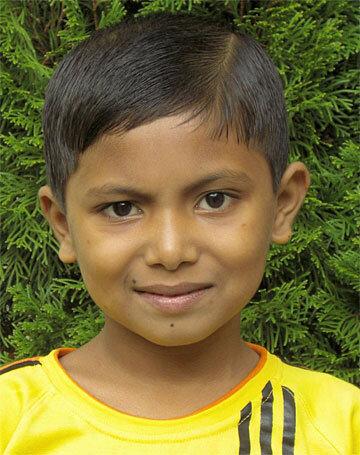 Fahim Mohammad (10) and his father made it to Budapest all the way over from Dhaka, Bangladesh. Fahim is still at the beginning of his chess career (1836) but he made a stir at his debut in the Oct 09 FM section, winning 6.5/9. It was a pleasant surprise to meet him again at the latest Paris Championship. Naturally, the home-grown talents take a full advantage of the First Saturday tournaments being at their doorstep. 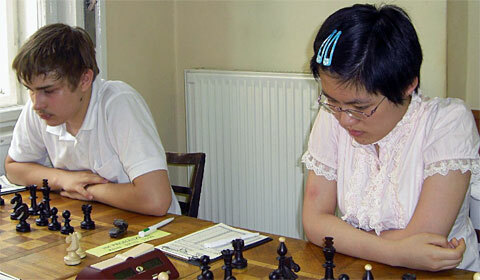 The newest addition to the Hungarian grandmasters is 17-year-old Peter Prohaska (2501) seen on the photo next to GM Hou Yifan, the Chinese wonder-girl who also made a foray to a First Saturday tournament. 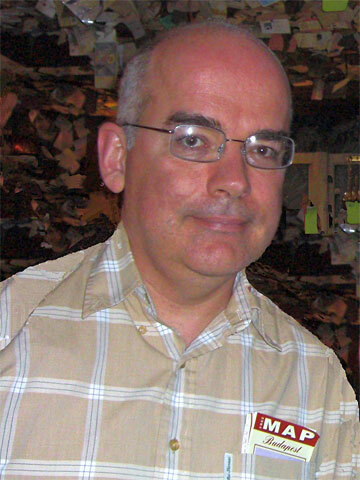 Peter made his final GM norm in the November 2009 tournament, and since the beginning of this year he is a full-fledged grandmaster. Peter was a gold medallist in the 2006 World Youth Championship (under 14) and got bronze in 2008 (under 16). IM Richard Rapport (2444) is expected to follow suit. 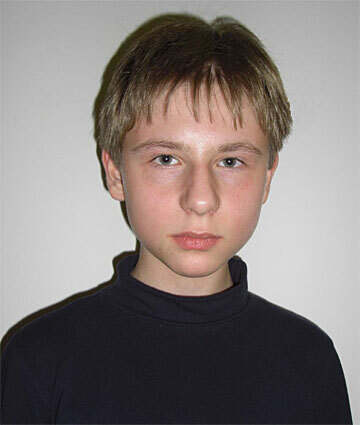 The 13-year-old was granted the IM title last year; in August 2009 he made his first GM norm with 7/ 9 and a 2644 performance. 15-year-old Bence Szabo (2261) returns to the First Saturday as often as he can escape his school obligations. In the last year’s November tournament, 7.5/ 9 and a 2458 performance brought him his first IM norm. 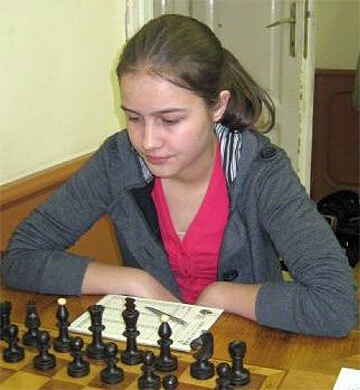 Petra Papp (16) managed the prerequisite 6.5/ 9 to gain a Woman Grandmaster norm in October 09. 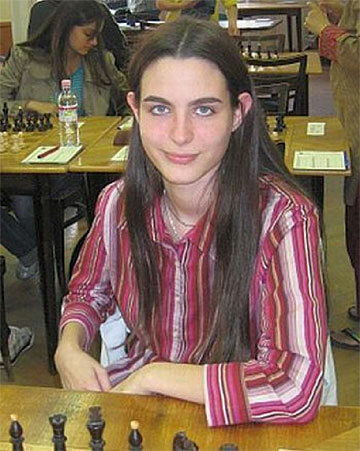 With a 2276 rating she is slowly gaining a spot in the Hungarian women’s chess elite. Richard Farkas (12), who within few months pocketed 1900 Elo points and was whisked off to the famous Hungarian Maroczy Chess School for further, timely shaping. 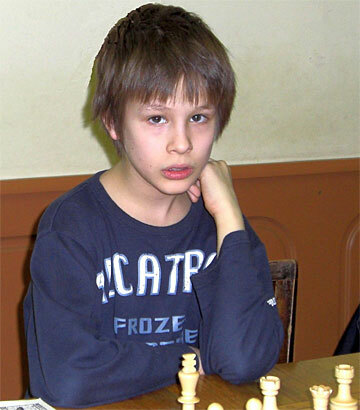 …and Gergely Kantor, a 10-year-old boy, very fidgety while playing but steady in achieving good results – 1909 Elo in less than a year! Laszlo now contemplates introducing a higher level, super GM tournament, but he feels that financially it would not be sustainable with the current resources and he will depend for this on some sort of sponsorship. I am trying to talk to rich people, but it is not easy to talk to rich people. Already the existent GM tournaments, which are most costly because he needs to employ a certain quota of grandmasters, experience some hardship. Laszlo manages to secure some sponsorship from local restaurants and a few times during a tournament, players are nicely surprised with welcome energy boosters – sandwiches, Hungarian pogacsas (cheese and nuts scones), chocolates or cakes. The Budapest City Administration helps the ‘First Saturday’ with a symbolic 500 Euro per year subsidy. Similar symbolic help which he manages to scrape together just about provides the printing of score sheets. The main financial source is the entry fees from players. However, a significant sponsorship, private or corporate, would certainly further help this worthy cause. Chess unfortunately does not have the marketing power that football and other sports do, and many workers are within this ‘industry’ for the love of it. One thing is certain: chess players from all over the world appreciate the existence of ‘First Saturday’ and from all corners of the globe pop over to Budapest to try their luck at improving their score and, at the same time, to sample the delights of this beautiful city and country. The First Saturday’s playing hall is found within the premises of the Hungarian Chess Federation in central Budapest’s 5th district, Falk Miksa street 10, which is being rented to Mr Nagy under a renewable yearly contract. Falk Miksa street runs directly into the Kossuth square where the Hungarian Parliament is situated. 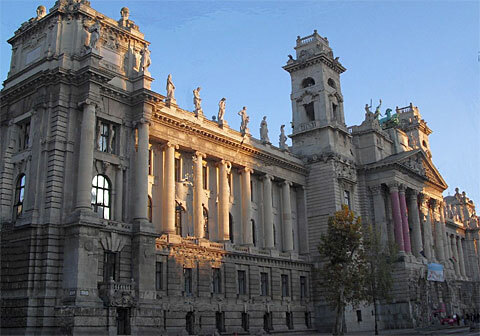 It ends up with the Hungarian Museum of Ethnography, which stands opposite the Parliament. 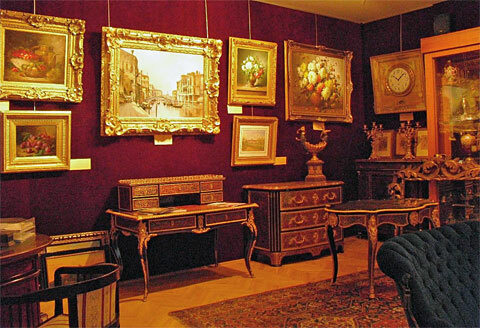 The museum displays a permanent collection of artefacts depicting the Magyar way of life and hosts ethnographic international temporary exhibitions. 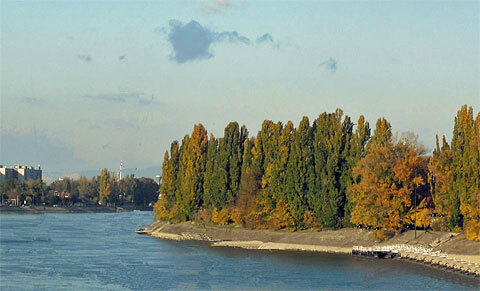 Only a street away from the playing venue flows the Danube, whose shores make for wonderful promenades. The nearby leafy Margaret Island (Margitsziget) is the largest park in Budapest and many players use it for either a relaxed stroll or jogging. The Budapest sights and the spoilt-for-choice Hungarian restaurants provide a pleasant respite after either a won or a lost game. Laszlo also organises an annual Open – the Budapest Spring Festival, which runs in March during the Budapest Festival of the Arts. The next one is scheduled for 19 – 28th March. For players keen to spend a longer time in Hungary, another facilitating opportunity would be the IM and GM tournaments that run in Kecskemet, a small picturesque town about 80 kilometres south east from Budapest. The Kecskemet tournaments run between the First Saturday tournaments and many of the Budapest ‘chess residents’ have been playing at both. Originally organised by Tamas Erdelyi, the director of the publishing house ‘Caissa’, (link) now the two organisers have joined forces and from 6th Feb 2010 First Saturday is taking under its wing the Kecskemet tournaments. ‘Mr First Saturday’ is the unsung ambassador of Hungary. His tournaments draw to Budapest innumerable chess players from all over the world. ‘First Saturday’ offers unparalleled chess experience and undoubtedly, it will enter the annals of chess history.